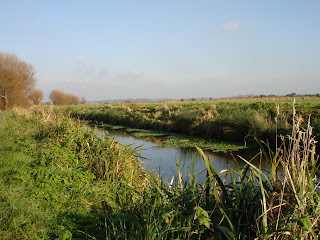 It is a bright Sunday morning and I am on the Pevensey Levels. The landscape is a sliver in front of me; I can pick out the form of Pevensey Castle, some three miles distant, dwarfed by an endless spring sky with only a whisper of cloud too insignificant to deter the warmth of the early sunshine. The sky dominates in these flat lands. 10,000 years ago they were sea; a thousand years ago they were marshland. 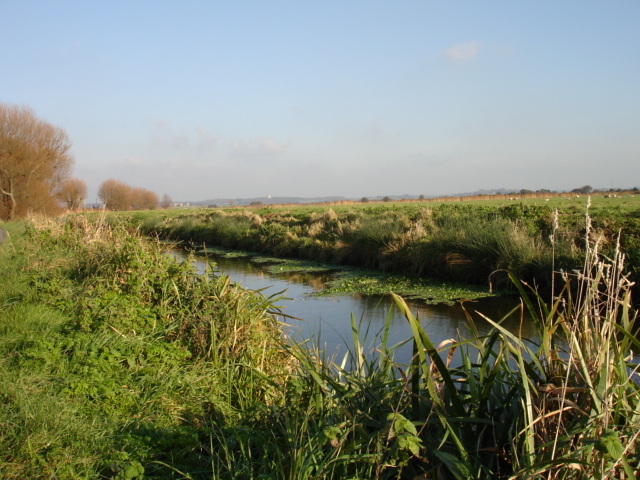 Kipling immortalised this landscape in Puck of Pook’s Hill: “Salt Marsh where now is corn… And so was England born.” In reality, it is still too wet here for arable farming but some modern day English yeoman has ensured that I skirt fields of grazed pasture. Sheikh Abed Gulzar, an Eastbourne hotelier, has acquired and tidied-up farmland on the Levels but has upset the parish council and divided local opinion in the process: first, with white, four foot high lion statues at the farm entrances; second, with large Union Jacks flown in place of the lions after their removal because of lack of planning permission. Some see his eccentricities as an eyesore; some as typically English. As the cattle turn to watch my approach, I feel like Pip with the stolen wittles in David Lean’s 1948 version of Great Expectations; but these cows don’t intrude upon my solitude. I have seen no-one since I walked out of the woods at Herstmonceux Castle and there is only the sound of the south-westerly wind and the calls of the peewits about my ears. Behind me, the church spire and the observatory dome are my navigation points. Negotiating the maze of free flowing and intersecting ditches can take the most experienced walker off course. Before now, heading for Rickney in mist, it has become Brigadoon and I have found myself by-passing it altogether, drifting eastwards and stumbling on to the Wartling Road. Its unknowable nature is what brings me back, time and again, to this landscape. There is no shame in losing yourself once in a while.